2013 Sets Record for Nontraded REIT sales. Investors Beware! According to InvestmentNews, the leading securities industry trade publication, a record $20 billion in new non-traded REIT investments were made last year. That number is nearly double the $10.3 billion sold in 2012. While the vast majority of these investments are solid, or at least suitable to those whom they are offered, record numbers of investors are burned each year. REITs have enjoyed enormous popularity because interest rates on traditional investments such as bonds and certificates of deposit remain very low. Because of unique tax advantages and a rising real estate market, REITs are a popular alternative to low interest, low risk investments. Stockbrokers love them to because they pay much higher commissions. Unfortunately, many of the REITs sold these days are “non-traded” meaning they can’t be bought or sold like normal securities and mutual funds. Buy one and you may have to hold on to it for many years before you can sell. Since there is no market for these non-traded REITs, it is also harder to value them. A recent editorial in InvestmentNews calls these nontraded REITs “murky” and “opaque”. We think those terms are an understatement and fail to address the larger suitability problems surrounding these investments. Bad brokers continue to sell these investments to unsuspecting investors. There is nothing wrong with nontraded REITs if sold to the right people and if properly explained. Because they can be very hard to liquidate, they shouldn’t be sold to retirees and the elderly. 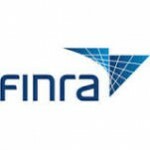 The Financial Industry Regulatory Authority (FINRA) and the Securities and Exchange Commission have proposed modest rules regarding how these investments should be valued. As noted above, its hard to understand the value when there is no ready market. Regulators want to at least make the market less opaque. To us, that is a giant red flag. Brokers, compliance officers and brokerage firms all have an obligation to properly explain these investments including the high commissions charged for them, the lack of liquidity and the valuation problems. If they had been doing this all along, there would be no worry of the new rules. Unfortunately, we know of many investors who have no clue that their investment is illiquid or worth far less than their statement shows. REIT fraud is a growing problem. Many mistakes made by brokers a few years ago are finally beginning to surface. These problems are what have prompted FINRA and the SEC to propose new rules. The bottom line? The nontraded REIT industry is poised for another record year. Unfortunately, some brokers continue to sell them to the wrong investors and many brokers fail to properly explain the risks and valuation problems. Non-traded REITs and private REITs are generally not suitable for investors who may need access to their money in the short or medium term. If suffered a REIT loss, it may be possible to get back your hard earned money. We have teamed up with John Chapman and Chapman Law LLC to pursue brokers and others whose conduct lead to these losses. For more information, please visit our new website REIT Loss Recovery or call John Chapman at 877-410-8172.